With a little grind n' bump? With a kick drum punch? "Elevator Music" began life originally as a song called "One, Two." Beck has said that the music was one of the first things they finished for The Information, way back in 2003. He took time away from those album sessions to do Guero, and then do some shows. He played "One, Two" on stage three times in early 2005. As Beck said once, "this one came out pretty easy." However, after playing "One, Two" on stage, they continued to "chip away" at the song. In Beck's words, he got rid of the "singalong chorus" for "something a bit more reflective." (Also I believe it has something to do with the missing "three, four" lyrics from the chorus!). Both rap verses remain the same, as do the acoustic-guitar-based beats. However, the "one, two, you know what to do" chorus still shows up on The Information (in the fadeout of "Dark Star"!). 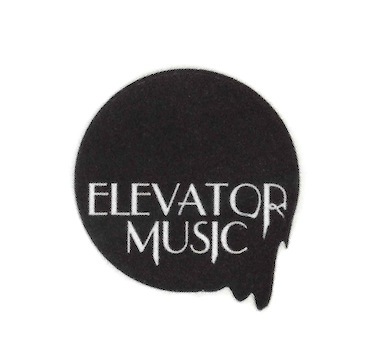 "Elevator Music" is a terrific recording, a true acoustic guitar/hiphop combo with lots of electronic flourishes, rapped verses, phat bass popping in and out, a cellphone. The "na na na" vocals buried at the end are one of my favorite moments on the album. A lot of lyrics here indicate a feeling of searching and being at a low point. The opening lines are "I'm uptight / super-gutted / out of the frame." He's had a rough time. He's down and out, and pounded. These are strong statements, summed up with the end of the chorus: "if I had a soul to sell / I'd buy some time / to talk to my brain cell." But instead of wallowing in such misery, Beck looks both at his surroundings and to music. Start with the first chorus: Beck is noticing all the minutia background details (elevator music, ambulance sirens, the fly on the wall). More details show up in the second verse as he tidies up the house and himself. I do not believe this attention to detail is out-of-place. Sometimes when wallowing, that's all you can do to keep yourself together--focus purely on your existence and surroundings. And above all, you can focus on music. "What's wrong with a little grind 'n' bump when the stereos erupt with a kick drum punch?" he asks. I love how he inverted "bump 'n' grind." He's shaking a leg on the ground. He seems to be partying until his high-heeled boots wear out from all the bodies moving. Music is everywhere. This has been a recurring theme in a lot of Beck's songs from this time (Guero/Info): music as your savior. Or at least, a wonderful distraction from your worries. Beck played the "One, Two" version live 3 times in early 2005. Then throughout 2005 and 2006, since the song was not part of Guero, it was dropped from setlists. It does show up occasionally when Beck would adlib the "one, two, you know what to do!" line. Then at the end of 2006, The Information came out and so "Elevator Music" made it into the sets proper. However, as far as we know, they only did it 4 times. And one of those was at one of the informal bar shows they played on off-nights. Anyway, the only version of this from 2006 I've heard is a live clip from YouTube of the October 18 show. It's not mindblowing, sounds very much identical to the record, except with a few more turntable scratches in there.